The major objective of this report is to analysis Ecology and Behaviour of Red-Vented Bulbul at Jahangirnagar University Campus. Other objectives of this reports are to collect Data on different activities, Information on food and feeding habits, Data on nesting areas and nesting sites and Data on the breeding biology. 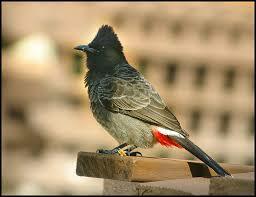 Finally this report make swot analysis Ecology and Behaviour of Red-Vented Bulbul at Jahangirnagar University Campus.